ELEKTRA industrial heating systems provide a wide range of solutions for the maintenance of industrial processes in pipelines and tanks. 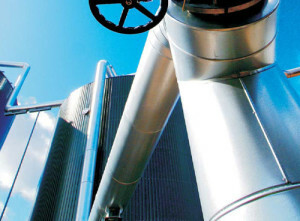 Frost protection, sustaining required temperatures and resistance against high temperatures of process media are typical challenges posed to industrial heating systems. ELEKTRA’s solutions are designed for operation in chemically agressive environments, in applications connected with strict temperature requirements, including hazardous areas.